LONDON, November 7, 2017 (PRESS RELEASE JET) – B9lab is pleased to announce it has joined the Hyperledger Project and the Linux Foundation. This follows the recent launch of their in-depth Hyperledger Fabric course for software engineers. Over the past two years B9lab has been committed to providing high quality education and certification to the wider blockchain industry for both developers and stakeholders. B9lab carefully selected the Hyperledger suite of projects as an area of focus and decided to develop in-depth Hyperledger courses for software engineers late in 2016. As with their Ethereum developer course, it includes real-time support, comprehensive assessment and certification. While the Hyperledger Project is still in its infancy, it is showing promise. The progress of the project has been impressive. We want to make sure that companies interested in bringing some of the benefits of blockchain technology into their organisation have their choice of excellent talent. It looks like distributed ledger technology (DLT) will play a big role in the future of enterprise infrastructure. Someone needs to build it. Talent is critical. As part of their wider offering around Hyperledger, B9lab has also launched a free introductory Hyperledger Fabric 101 course for developers. B9lab has been providing education and research around blockchain technology and decentralised applications since 2014. The company offers online education as well as on-site courses. Equally, they commission and fund research into decentralised technology and its implications. The company has trained over 1,000 developers from 75 countries in distributed technology. B9lab is the world leader in blockchain education. Through the online Academy and on-site workshops, B9lab has served over 4,000 students from 75 countries. 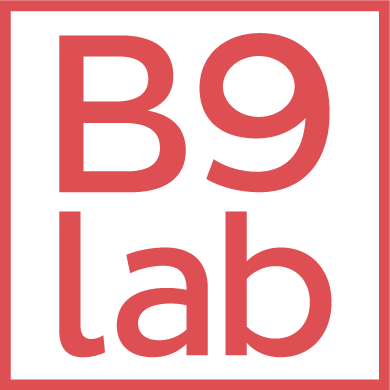 Among its clients B9lab counts over 80 leading global institutions as well as talented independent developers around the world. B9lab provides training, advisory and research services around blockchain and decentralised applications. Founded in 2015, the company aims to demystify the field by providing a range of training courses to prepare stakeholders for the changing technology and certify developers to aid that change. Equally, they help companies, governments and institutions determine the best technological fit for their projects.